No profession is easy to obtain in this entire world unless you are fully committed to ‘what you want to be in your life’ and ‘what sort of profession you wish to choose’. Sorry is the fact that most of the kids are being wrongly thrown into the fields that they don’t take interest in, therefore, they face failure and unbearable challenges when they grow up, it adds to their lack of passion for what they do. Adults should be educated & aware at first because if they don’t know what it is to be done on their part, generations after generations will be ruined being fetched towards some field/job they don’t like to undertake. Kids have to be encouraged to do what they want to study so when they grow up their foundation is strong enough to take the occupation of their choice. Our society is cruel in this term and mostly people are put into some other shoes that they don’t fit in. what would be the avail if you study something else and you take up an alien field which is quite new to know? In that case you would be starting from the point 1 and it will be so hard to reach to the top. Although in many a case we also come across people that are jack of all trades that whatsoever they do, they come out with flying colors. But not majority of us are blessed with a golden spoon. Artists and designers are the real hard workers, they burn midnight’s oil to get the fruitful results as they wish. Now coming towards our today’s post of free high quality coffee packaging mock-up PSD that can be used by the designers in order to present it before the client. Coffee is always frothy, foamy, tantalizing and tasty so its packaging design also has to be enticing. 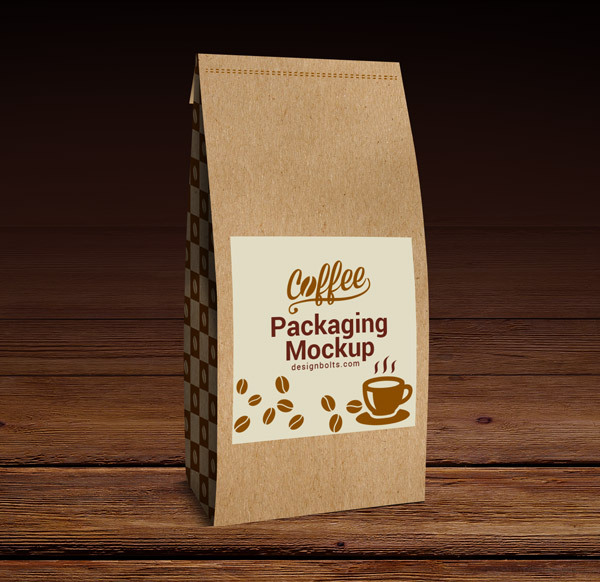 This packaging mockup can also give you an idea that how you can make a mockup of coffee packaging. Stick around for more posts of this kind and you will be delighted to watch them in future as well. We aim to please you and somehow or the other we are almost there. Subscribe us for more is yet to be unveiled in the coming weeks.